Join us on Tuesday August 7th from 5:30 ﻿PM to 7:00 PM with Hoka One One and take a pair of new Clifton 5's out for a test run into Mine Falls Park. All are welcome to join! Try before or after the run or wear a pair to run in! "True to its award-winning heritage, the Clifton 5 is light, cushy, and very, very fast. 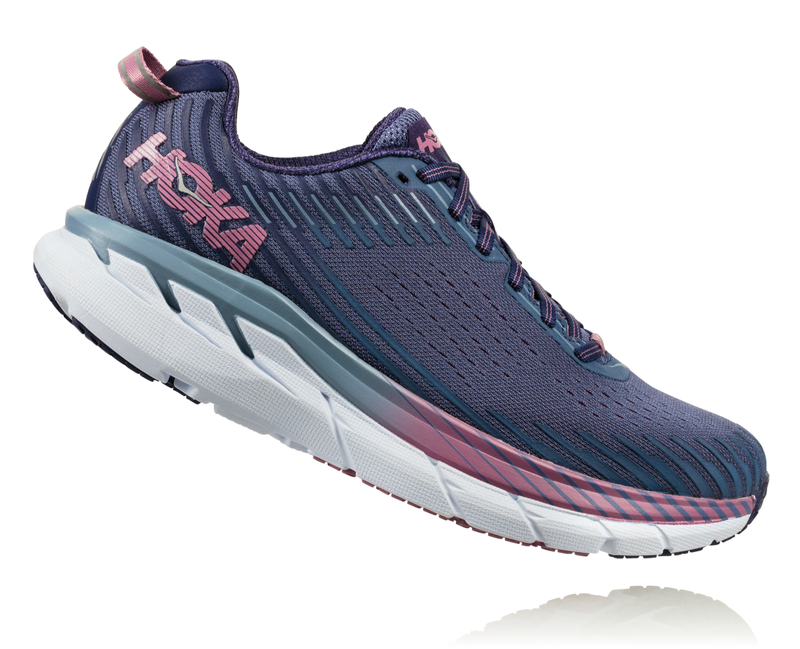 Central to its design is the famed HOKA ONE ONE® midsole geometry and a trusted foam package to ensure consistent cushioning through the life of the shoe. Combined with the forgiving and adaptive forefoot, we’re talking a smooth, smooth ride. And to top it all, the 5 has a clean, engineered mesh upper to optimize breathability and comfort. Go in comfort and speed."